NAS increased profitability with stabilized occupancy over 90 percent range. 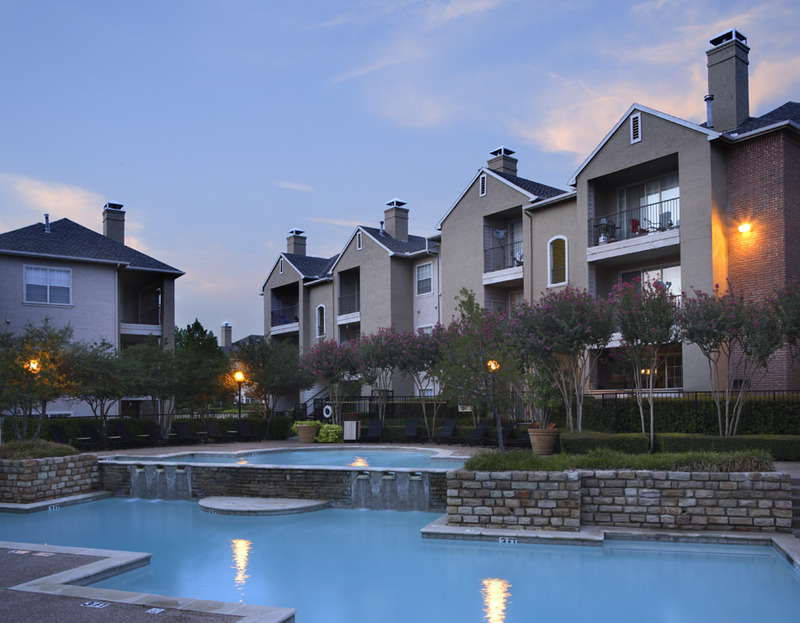 Bellagio at Bent Tree is a 500-unit, three story low rise apartment community. The property consists of 27 buildings sited on a 23.8 acre parcel and is considered to be an A- grade with two swimming pools, two club houses with a gym, basketball court, game room, business center, resident entertainment lounge and laundry facilities. In early 2009, after a thorough inspection by NAS, many deficiencies were noted and deferred maintenance issues were discovered, which led to an investigation and a property management change in June, 2009. At this time the property’s occupancy level trended downward to 85% with an economic occupancy below 72%. With a struggling property performance, the city also started major construction on Trinity Mills, a six-lane roadway that provides access to the property. As a result, the economic occupancy decreased to 64%, due to increased vacancies and further lost revenue of $25,000. In a short amount of time, the property experienced further occupancy erosion to an all time low of 82% with an economic occupancy of 63%. The experienced NAS team took immediate action. With the support of the new management company, Internacional Realty, a strategic business plan was formulated which decreased the effective rent and at the same time increased the economic occupancy. The plan was calculated for a three month term staggering lease dates across 2010 to allow for a more productive concession burn off period and a healthy lease expiration spread per month. One hundred leases (20% of the total) were targeted at the property to incorporate vacant units and apartments on notice. By 2009 year end, the three month program was a success. Economic occupancy increased from 63% to 68% and physical occupancy crested the 92% benchmark, surpassing the previous 2009 physical occupancy of 88%. Through 2010, the concession burn off alone will continue to increase economic occupancy at close to .75% per month. The revenue increase is close to the $25,000 per month in what would have otherwise been lost to vacancy and the revenue generated over the course of the year will increase by approximately $150,000. This additional income will support the expense of constructing a new entrance to the property from the Trinity Mills thoroughfare. An estimated increase of 30% - 40% in prospective resident traffic will be generated as a result of the increased exposure and accessibility from the main road. Traffic entering the property via the new entrance will be directed to an existing club house with leasing staff. In the long term, the added value for accessibility and the opportunities in leasing, will make Bellagio at Bent Tree more profitable with stable occupancy in the mid to high 90 percent range and better positions the property to capitalize on the opportunities presented as economic conditions in the North Dallas submarket continue to improve.